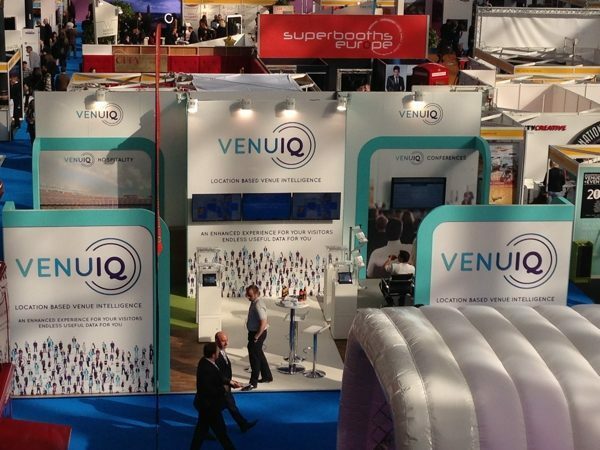 Software developer VenuIQ were have exhibited at Confex for two years now. 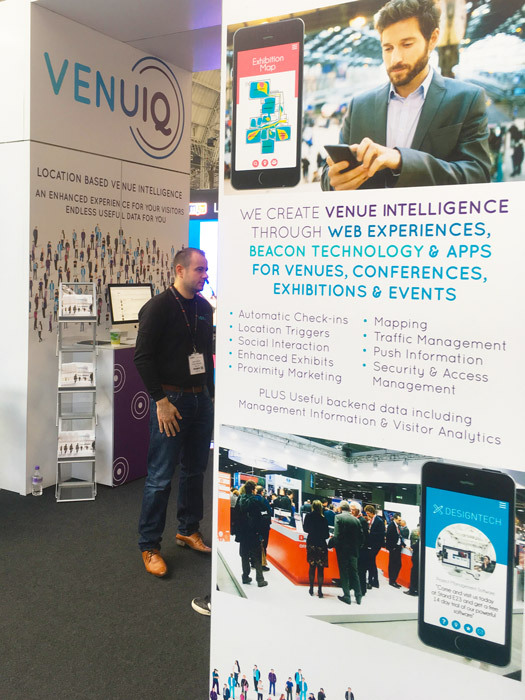 With an innovative product that could potentially shake up the venues market, they are always keen to make an impression. 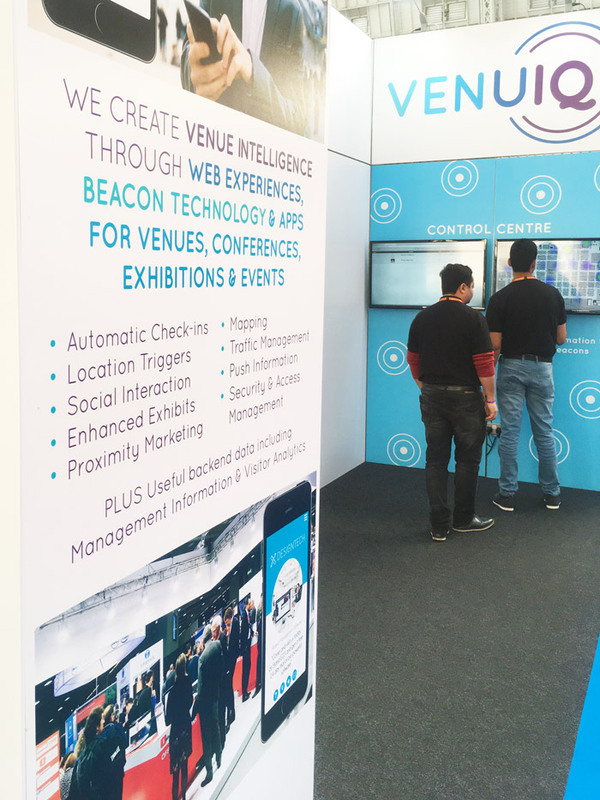 A large space was booked and a design required to reflect their potential impact – they needed to look like a big player. 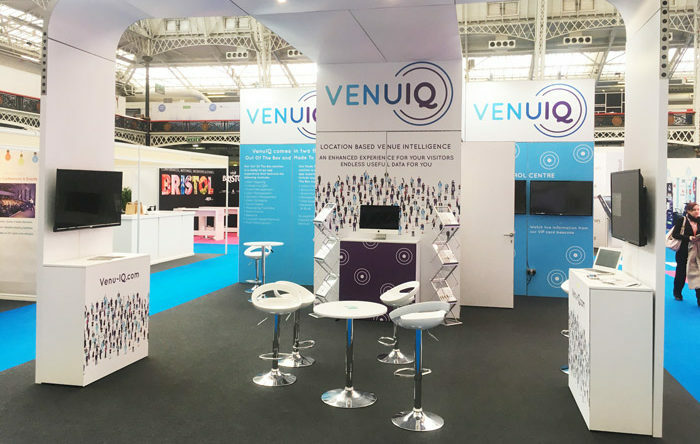 Over the years we have worked with a stand builder to design stands that present interactive displays and allow for plenty of on-stand meetings. 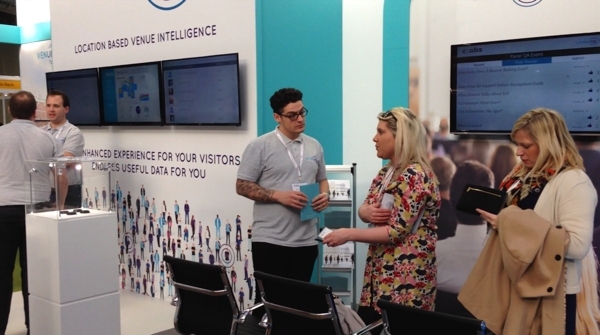 Liaising with suppliers, organisers and services throughout the preparation period means we are able to constantly produce a fantastic, huge-impact stand that draw the eye and encourages stand visitors.